These young caterpillars are smooth-skinned and green in early instars, with a brown head. 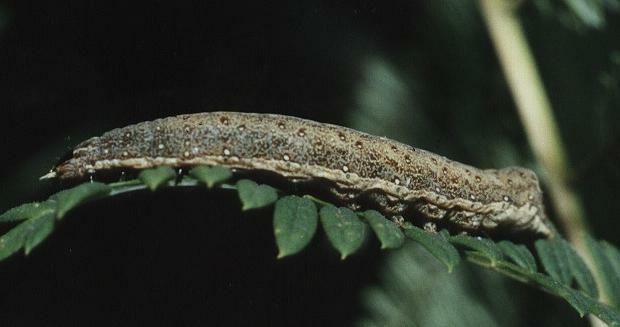 Later instars develop a purple herring-bone pattern with a black head. Later still, they turn brown with a thin wavy white line along each side, and white spots. Marigolds ( Calendula officinalis ). The caterpillars grow to a length of about 4 cms. 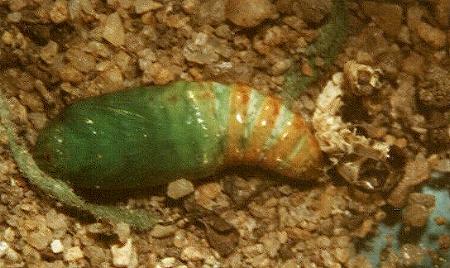 The caterpillars burrow into the soil to pupate, producing a pretty green and brown banded chrysalis. 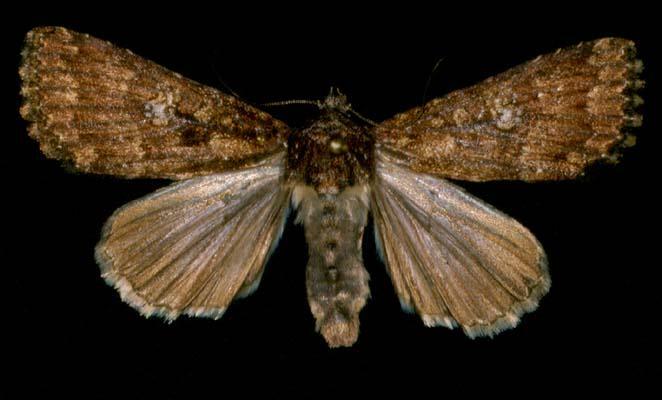 The chrysalis produces this really boring moth: it is brown with an indistinct complex pattern on its wings. 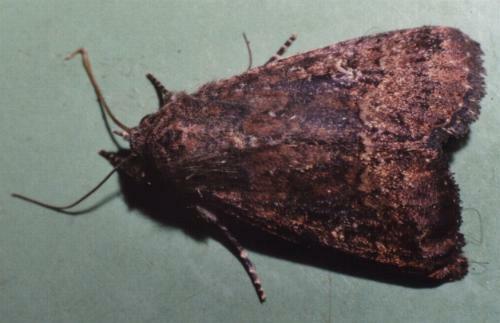 It has a wingspan of about 4 cms. Part 32, Supplement 2 (1865), p. 684. Part 33, Supplement 3 (1865), pp. 739-740.